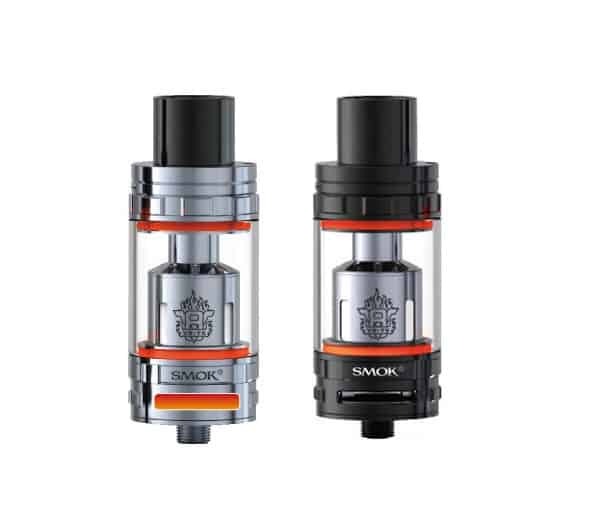 The Middle Child of Smok’s flagship tank TFV8 Cloud Beast Line-up has arrived! The TFV8 Cloud Beast tank is the well-known king of high wattage, cloud chasing sub-ohm tanks, and the TFV8 Big Baby Beast tank uses the original TFV8 platform and specifications, scaled down in Height only. 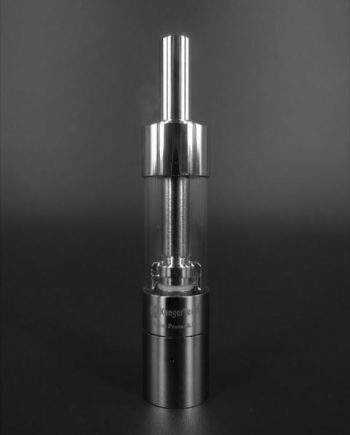 The TFV8 Big Baby Beast tank drastically reduces the chimney length for much stronger flavour. 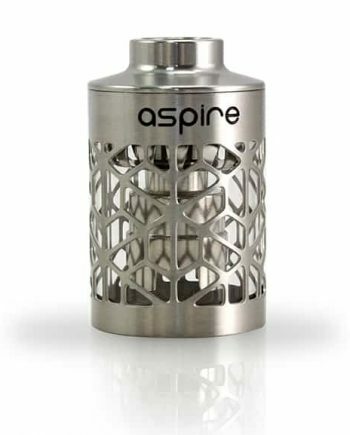 Few tanks have such outstanding machining and build quality. 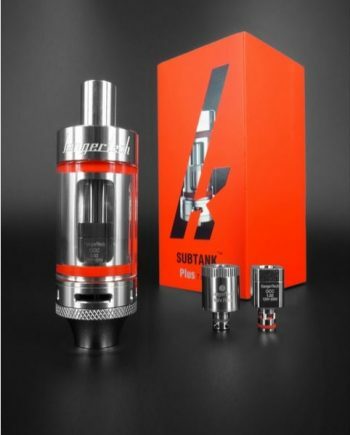 Made with a flush Pyrex glass tank and a 24.5mm diameter, the TFV8 Big Baby Beast will fit on all the same Box Mods that your TFV8 Cloud Beast does, while still offering the flexibility of either bottom or the Famous Hinge Style top fill. 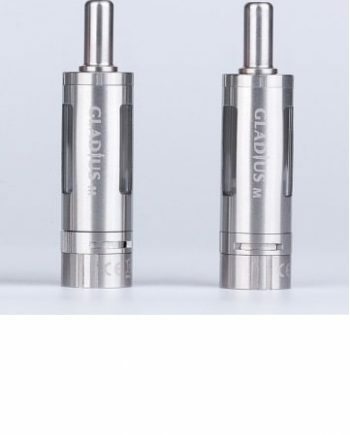 Larger 5.0ml liquid capacity than most mini sized tanks of similar size. 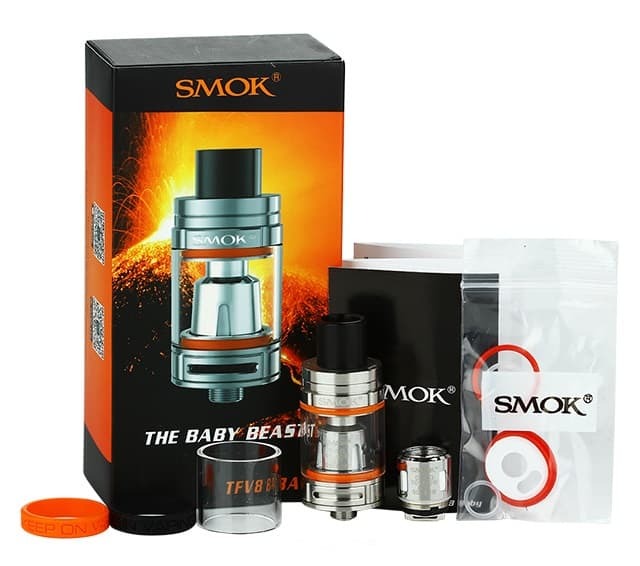 The TFV8 Big Baby Beast tank now uses a proven Turbo Engine coil design, and 2 large airflow ports for a smooth airflow system, effectively making the Big Baby Beast a Purebread High Wattage Direct Lung style Tank. Dual Adjustable airflow ring for great heat dissipation. 100% Japanese organic cotton. Universal 510 Threading.